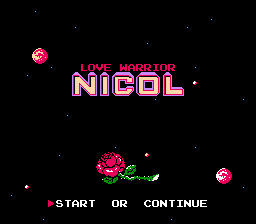 This is the translated version of the Japanese game Ai Senshi Nicol for the NES. 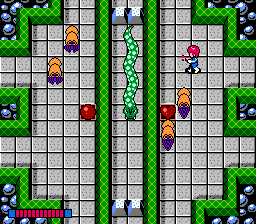 This game was very fun and reminds me of Blaster Master, The Legend of Zelda, and Fester's Quest all rolled into one. 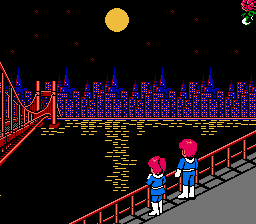 Very basic story... You are a guy named Nicol who has to go rescue his girlfriend Stella from aliens. This patch translates everything from Japanese into English.